It has been a slow-moving season here in Maine. We’re deep into June and the forces of unfurling, blossoming and hatching are still very much at work. In my own nest I have a few fledglings just about ready to spread their wings...and no, they aren't my two teenagers…yet. Over the next several weeks three different projects will take flight. They are all exciting in their own right. 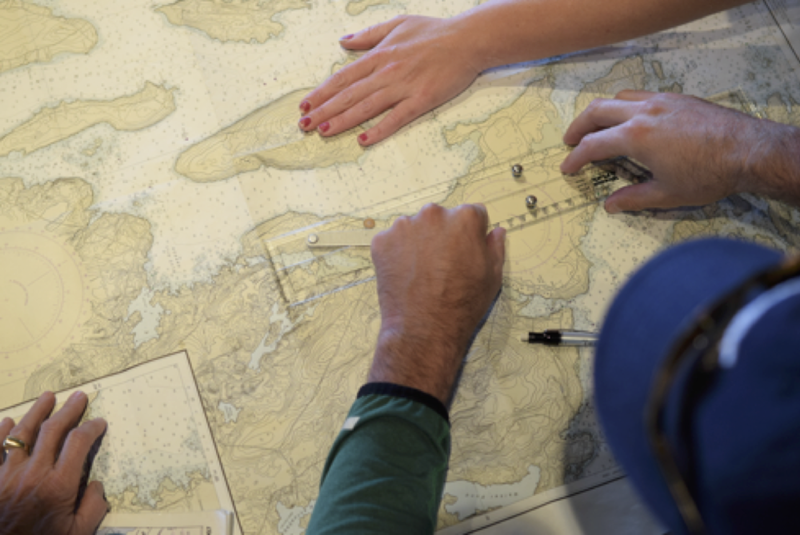 Designed to train students to be professional mariners, the bridge simulator at Maine Maritime Academy offers a unique learning environment for leaders from any industry. As members of a bridge team, participants are challenged with safely navigating a large vessel through a constantly changing environment of traffic, buoys, visibility, current and sea state. What’s particularly interesting about this upcoming program is that collectively there will be an age span of over 50 years! This will be a case study in multi-generational diversity: how do we leverage the wisdom of each generation? Horses are masters of non-verbal communication. A horse’s response to our verbal, physical and emotional cues is directly related to the authenticity of our intentions and behaviors. 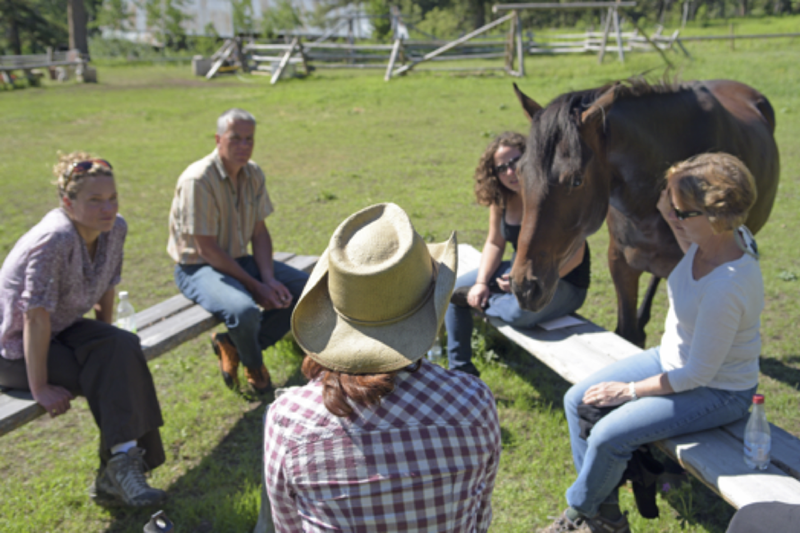 Building a partnership with a horse depends on the quality of the relationship in that moment. Motivating an entire herd requires a strategic understanding of herd dynamics—a mirror of how human groups interact. This will be the first time an intact team participates in EQuest. Since communication is the source of all team successes and failures, we expect to learn a lot from our equine faculty! Lastly, we have partnered again with Beeswax Productions to produce a short trailer video that encompasses all of our Quest programs along with the intact team application. Having to convey our message in two minutes or less has been a challenging exercise in distillation. That video is in the final stages of editing. It’s a pivotal moment. You’ve played an essential role in bringing something special into the world, be it a child, a dream, an idea. Now you’re a bystander as the hand of destiny takes over. Will they soar…or plummet to the ground? I’ll be holding my breath over the next month so you probably won’t hear from me until the gold-tinged days of August. In the meantime, let me know what’s stirring in your nest.